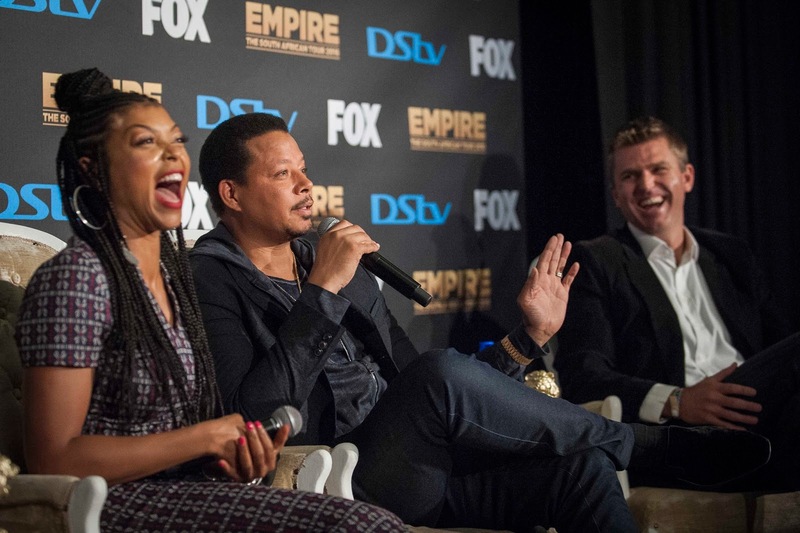 TV with Thinus: THE EMPIRE STRIKES PERFECT: The 6 reasons why MultiChoice and FOX Africa's Empire press conference was the best one in years. 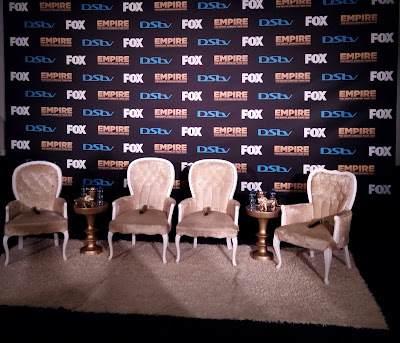 THE EMPIRE STRIKES PERFECT: The 6 reasons why MultiChoice and FOX Africa's Empire press conference was the best one in years. On Monday I attended a press conference in Johannesburg for the hit American TV drama Empire on FOX (DStv 125 / StarSat 131) and full credit where credit's due: It was good. In fact, it was excellent - the best press conference for a TV show that I've went to in 8 years. 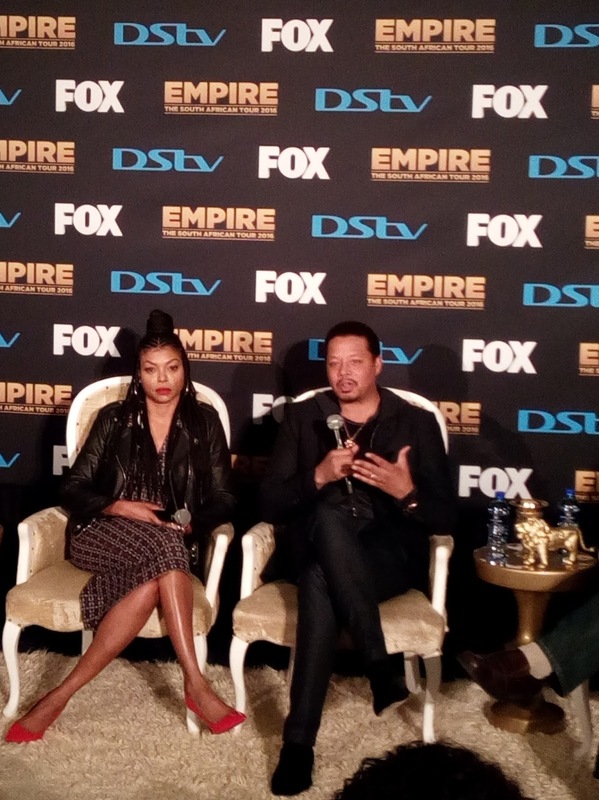 Empire's press conference (more accurately an open-floor round-robin interview session if you want to be technical about it) with stars Taraji P. Henson and Terrence Howard who both jetted into South Africa for the week - took place inside one of the new auditoriums (my second time sitting in it) at MultiChoice City in Randburg, the home of DStv. 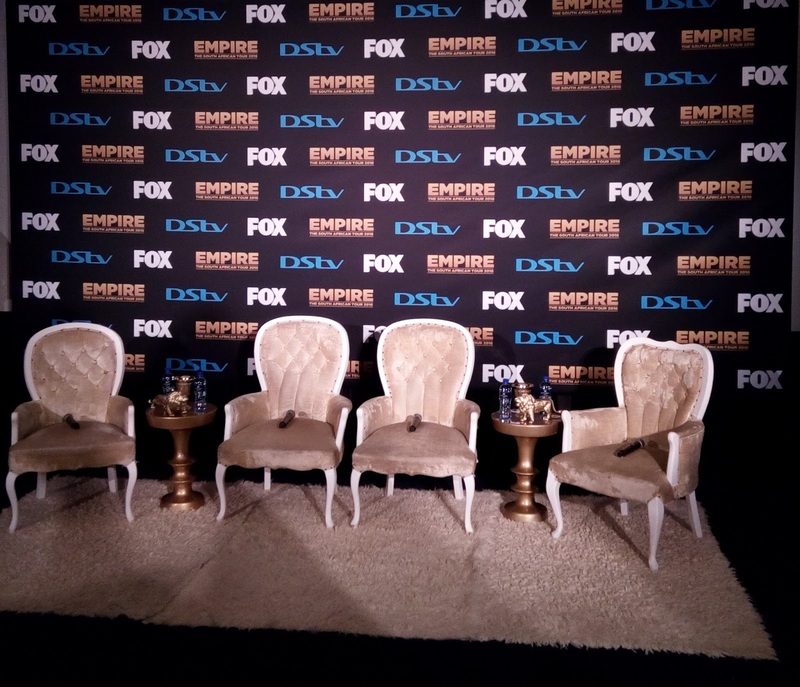 FOX and MultiChoice's Empire media event for press to ask questions was absolutely stand-out: a perfect parfait. Structurally, functionally and optically, MultiChoice was absolutely fantastic and did the media engagement event line item by line item in the "best practice" way American television does it and how I've experienced it several times there. It really resulted in a highly professional, very smooth presser from where I sat and experienced it. 1. Having it at MultiChoice. These things usually (99.5%) take place at uptey-da, boutique-style, 5-star hotels with lots of hoo-haa, fake hugs and phoney air-kisses. Holding it at MultiChoice City not only lent it importance, it also made it more formal. With a proper, functional and right size theatre auditorium with cinema-like ambience and seats, it signaled that it's not some champers guzzling party but a "this is where you sit, this is where we sit" press conference. Of course it helped with security too, since its a more secure location. Those inside the complex were vetted and gained entry through a list, meaning the management, security and marketing teams had macro containment and could focus on managing the micro. By having it inside MultiChoice City, MultiChoice and FOX got a higher all-round degree of ensuring no psychos or possibilities of violence or other incidents, and could focus on minimising the incidents of the trash who always want to touch the talent (of course there was again one who just couldn't help himself). (Funnily enough also, it didn't stop the hawkish bodyguards inside the auditorium from making distracting and very obvious Madonna-type "vogue"-ish hand signals to each other from side to side throughout). Having it at MultiChoice it also meant easy access to the press waiting area with catering and all other things on hand like a wristband-entry only section with a neat craft table with coffee, juices, croissants and muffins. The whole support structure from all of MultiChoice's various divisions was literally on hand to swoop in and be hands on and deal with any eventuality which isn't so possible at a hotel. Many are the grumpy cats I've had to interview over many years. And I'm not talking SPCA. I'm talking real-life people. Being a star and famous doesn't always necessarily mean sunny like a Teletubby. Irrespective of how nice you might or try to be as an interviewer, or how you modulate your non-verbal behaviour, what you say, and even how you say it, some TV talent just won't be nice back. And by won't be nice back I mean won't come to play and do a nice and useful interview. 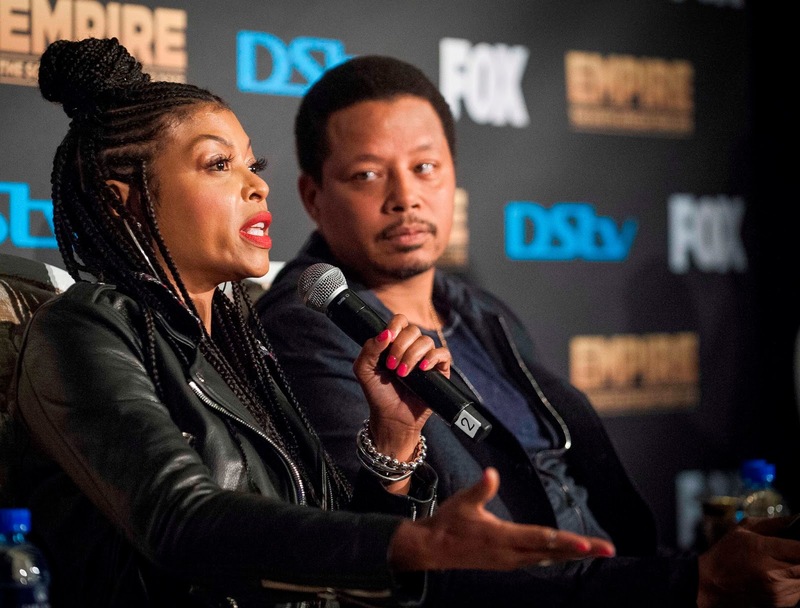 Empire's Taraji P. Henson however is a gem and a real talker (and journalists love those)! She brought the funny, the one-liners, the zingers, the quotables (and journalists love those even more!) and deeper moments of reflection perfect for the inside pages of any magazine from Vanity Fair to Bona. Although not as verbose, Terrence Howard also impressed me. He even managed to somewhat alter some my pre-conceived perceptions I had of him. I think differently of him than what I did a week ago. Like Bill Clinton and Oprah, Terrence Howard looks you intently in the eye, specifically. He did so every time a journalist asked a question and kept looking at the person he spoke to. Each time he took a second to think and gave real answers. It came across that he thought about, and gave thought to, what he wanted to share. 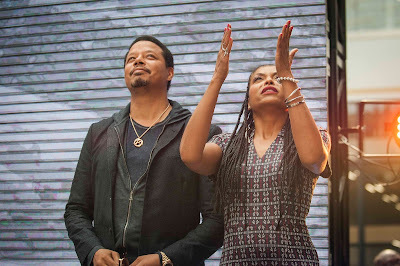 Taraji P. Henson and Terrence Howard were already liked (dare I even say beloved by some), but they went beyond being mere dolls in a storefront window to be stared at and perhaps admired for how they look and what they portray. They spoke with such conviction and through what they gave journalists by speaking a lot, they gave reasons for the media to actually really care and tell their stories. With years of unmatched experience the best facilitator and press conference moderator within South Africa's TV industry is M-Net's head of publicity Lani Lombard. Nobody else comes even close to keeping control, laying down the law, going through house rules, knowing every single journalist by name, specifically designating and directing what journalist can ask a question and overall running a tight ship, and holding press conferences like its on CNN while the rest of the biz mostly often preside over painful zoo-like, free-for-alls they also call "press conferences". 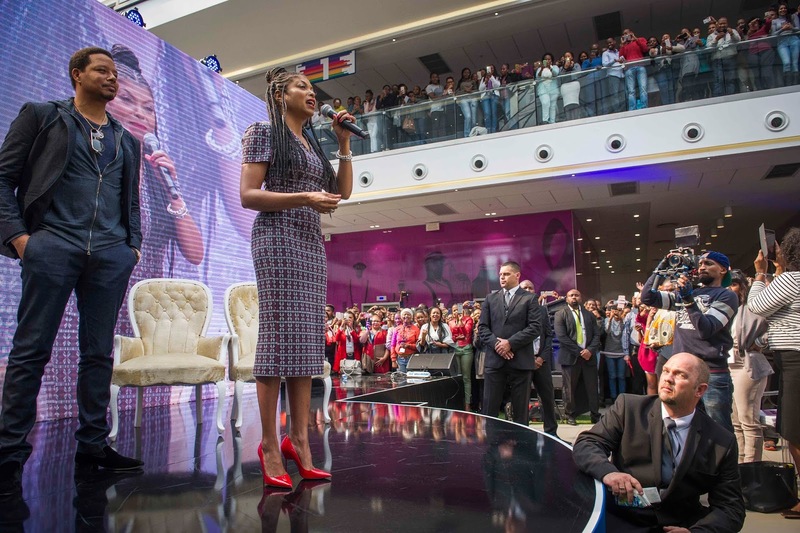 With Empire, MultiChoice SA's general manager for marketing, Nomsa Chabeli-Mazibuko was the moderator. She wasn't a Lani, but she did terrific in her first time I've seen her moderate a press conference. Journalists got house rules from her and the FOX executive, Adam Theiler (the executive vice president for FOX Networks Group for Europe and Africa) and Mark Rayner (MultiChoice South Africa CEO) as well as the talent were all properly introduced and got a chance to make speeches. Nomsa Chabeli-Mazibuko proceeded to ask a round of actually relevant questions first - questions that didn't come across as soft-ball pandering questions but questions that a journalist would conceivably actually ask - and then she opened the floor to questions from journalists. Mics circulated, she explained upfront that a chance will be given for photos at the end, and she then followed through at the conclusion with a specific 2-minute photo call in front of the step-and-repeat. It was literally textbook perfect, with MultiChoice executing it basically to the tee in terms of the American junket style playbook. Nomsa Chabeli-Mazibuko was a solid moderator with no waffling and no confusion. Running a kindergarden - in this case a cinema filled with press (who often have short attention spans especially when they see shiny things) - is no easy feat and she did it with alacrity and precision without being heavy-handed. A gold star for her. The press conference ended minutes shy of an hour. It was way more time than what I expected the press corps to get. The result however was an abundance of actual content and copy for print and visuals for video. It wasn't the usual slam-bam-goodbye and both Taraji P. Henson and Terrence Howard did a deep dive with their answers to some of the questions. That helped to move the interview session beyond the frivolous, often superficial level that these things very often are, to a real interview with substance. Whether they went into overtime deliberately or didn't know, or if it was always planned as an hour, it contributed to making the event incredible and elevated the MultiChoice and FOX presser to something I've rarely seen done for television in South Africa. Also, there wasn't the slightest sense of urgency or irritation from the talent or the cattle callers - something I always sense and pick upon as the interview duration progress and which is a normal thing. Whether concern about the time ticking by was really absent or just well-hidden, the end result was great. The mics caused slight feedback, but hey, there were mics! (Often journalists must make do without any. And notice the plural. With a lot of roving mics and with handhelds for the talent as well as lapel mics it cut down on in-between lag time to get mics to people. People sat still until the very end. None of the usual trash-rash of press idiots who show up and leave to go and feed or liquor up (there wasn't any) while they're supposed to work. All the small things were meticulous. Which meant that the big picture was great. 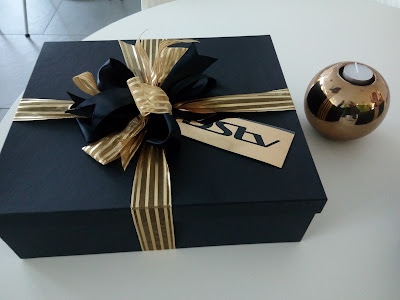 Why on earth MultiChoice and FOX decided to give attending media a gift, I don't know - getting access to talent and TV executives and being able to do an interview or to see a TV show's set is the gift. Yet, as press filed out of the auditorium into the MultiChoice City atrium they were handed a beautiful ribboned gold and black box. So unnecessary, but yes, very beautiful. It wasn't a box set of Empire season one or two, but was ... well, actually I haven't yet opened mine yet. It's silly, but literally I don't want to mess up the gold ribbon. Other journalists told me its a bottle of Moët and glasses. 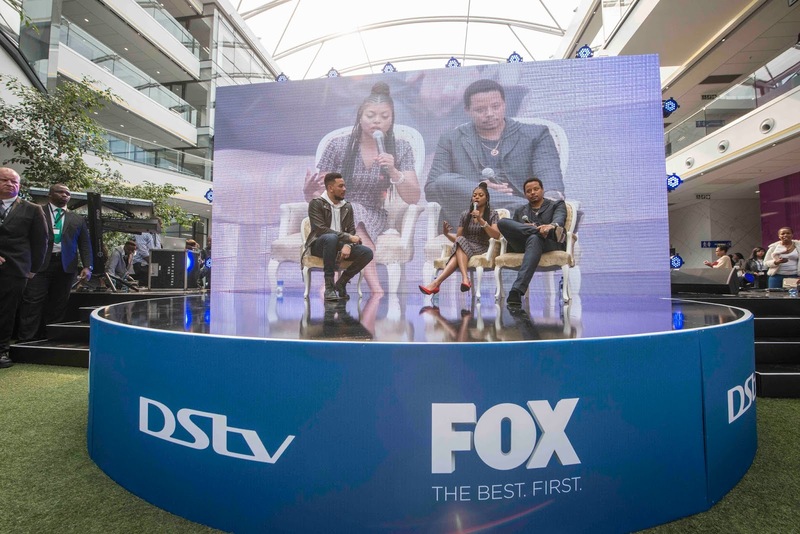 Well done, MultiChoice and the FOX Networks Group in Africa.